This give away was a fun one. All sorts of good stuff starting with the T-Rex Alberta II Dual Overdrive, followed up with some cool bonus prizes – 15′ custom Rattlesnake Cable Company Snake Head cable and two Option Knobs! Frankly, that could have been three individual give aways, so someone is walking way with some cool stuff. Thank you T-Rex Effects for sending it our way to give away! Please visit their site! As I mentioned earlier, Rattlesnake Cable Company is a new business I started, and I’m really stoked how it’s going, and it was awesome to send out a cable with this give away. And finally, the last items were from OptionKnob. If you like to tweak pedal knobs with your feet on the fly.. you know it’s a PIA. OptionKnob figured this problem out! Ok, ok.. finally, we do have a winner. 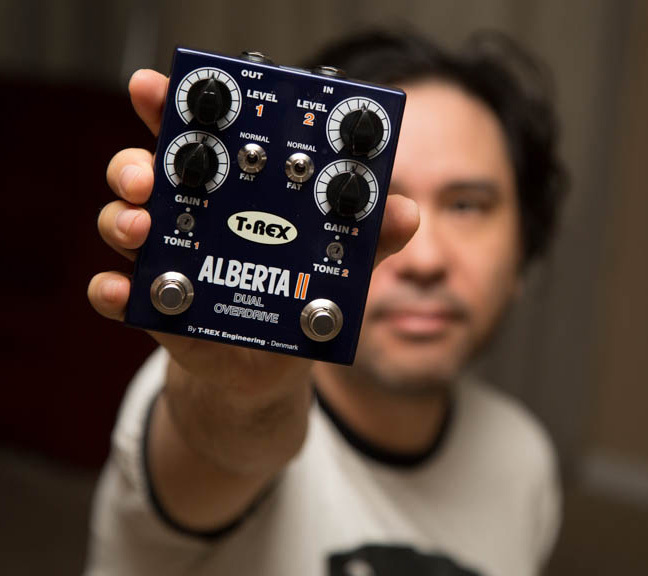 The winner of the T-Rex Alberta II Dual Overdrive give away (plus more) is Jeremiah L. from Port Ewen, NY! Congrats Jeremiah.. these prizes *might* make it in time for Christmas. If not, soon after. Please let us know what you think… and send us a photo with you and your prizes!!! EarthQuaker Devices Disaster Transport SR Give Away!